In short known as the RK Beach of Vizag, this beach is located in the center of the city and is usually very crowded with lots of people ans stalls. A walk along this buzzing beach is always fun and you can also relax here after a busy day of shopping in the malls around this place. There are also a number of good restaurants around. 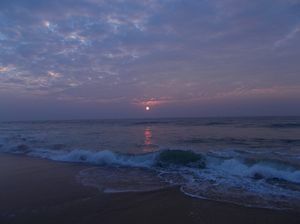 Rushikonda and R.K beach : These beaches are in almost half hour distance. The most popular and the safest beaches of the city.